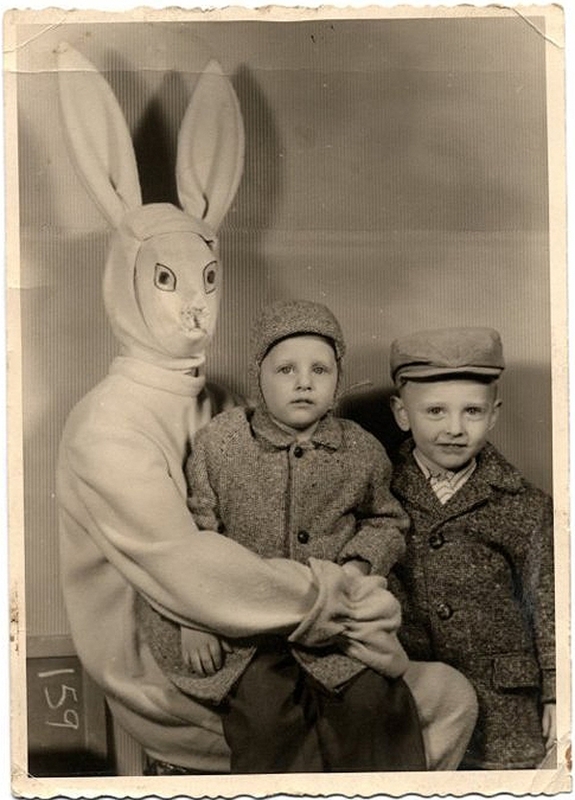 Came across a terrific Pinterest board today by Danielle Lehman titled “Scary Easter Bunnies“. 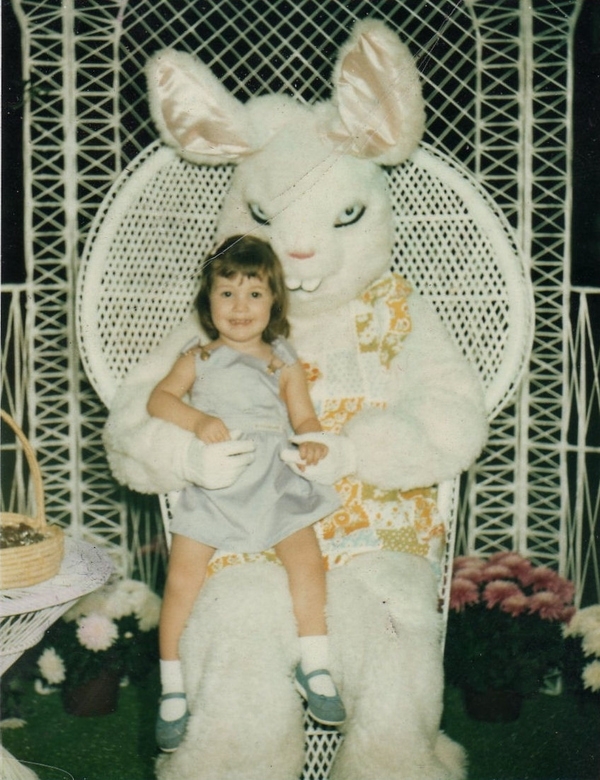 She curated a list of truly terrifying Easter Bunnies for your perverted viewing pleasure. 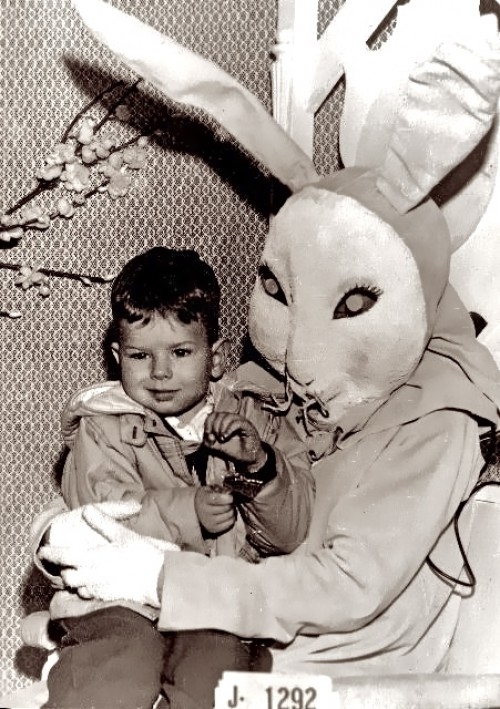 Donnie Darko ain’t got nothin’ on ’em. 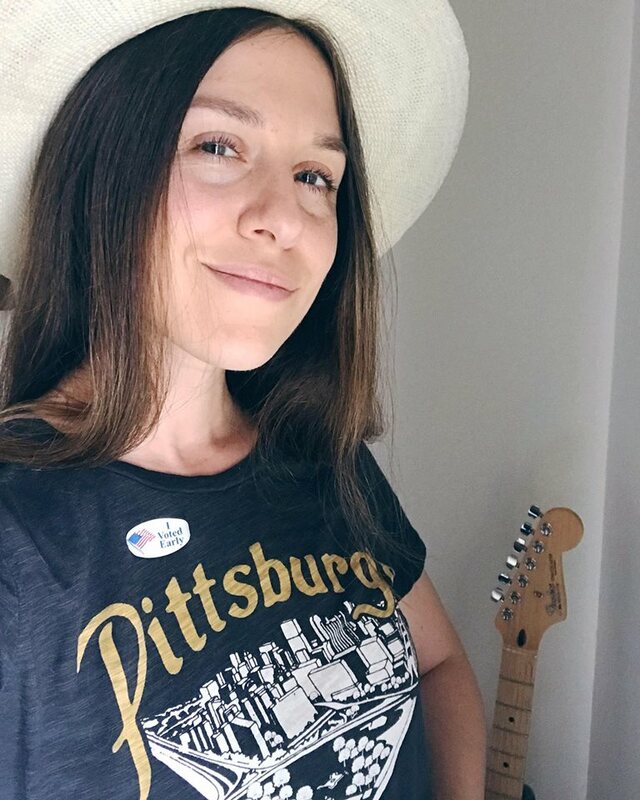 Here are a few of my faves below. Check out her board for more nightmare-inducing imagery. Hahaha – so scary. 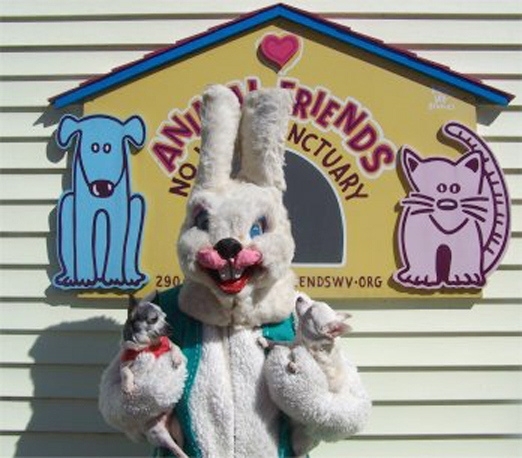 That second bunny looks drunk. 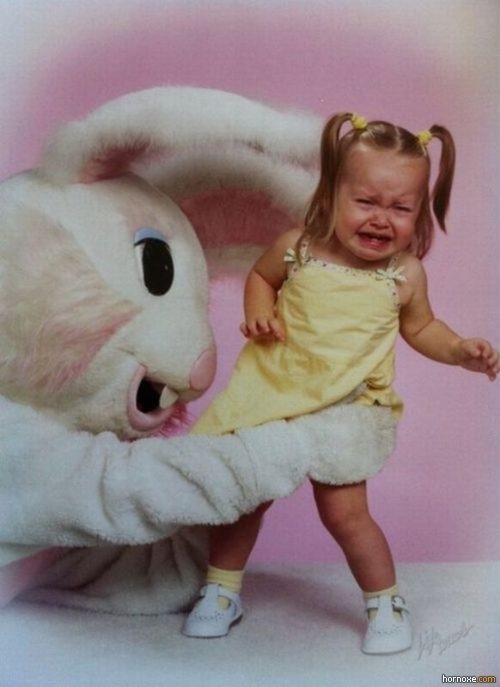 My local mall never had an Easter Bunny photo display – but seeing these makes me think of the movie Mallrats. The second down is pretty hysterical. They’re all super creepy and awesome. OMG. Some of these remind me of my childhood. These are amazing & totally nightmare inducing! 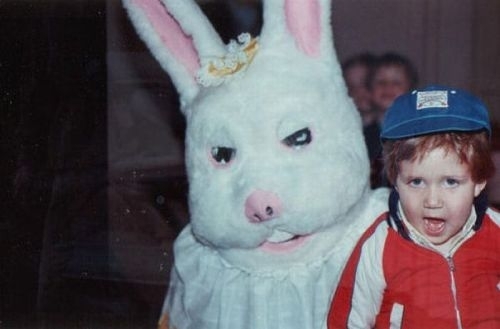 I didn’t realize Easter Bunnies were in the same terrifying league as Mall Santas.